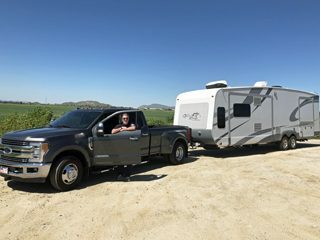 Our customer had kept his RV at a RV-park in Palm Springs for a few years and used it as a second/vacation home when visiting the area. 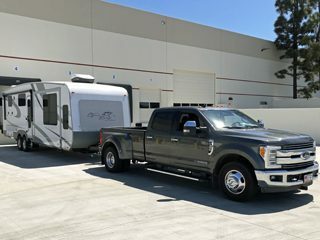 Our customer was moving from the RVpark and contacted Reliable Driving to transport the RV to a storage facility. 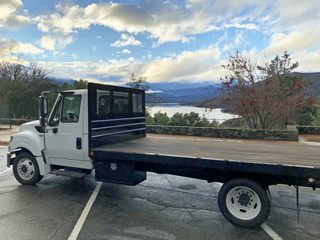 Our customer wanted a company and driver he could count on and decided to use Reliable Driving once he viewed our website and Testimonials page. 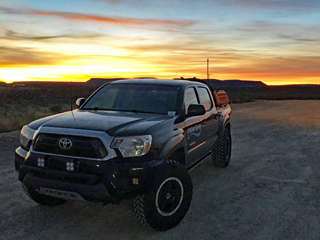 Reliable Driving appreciates the positive testimonials provided by our customers so that new customers can get a better understanding of the type of quality service that Reliable Driving provides! 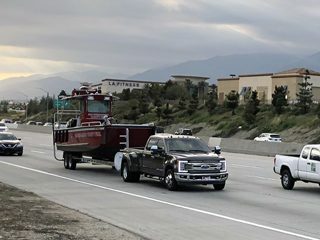 After a trade show at the Los Angeles Convention Center was completed, our customer once again contacted Reliable Driving to handle the transport of a large, heavy, and tall Fire Boat from the Trade Show back to Lake Arrowhead. 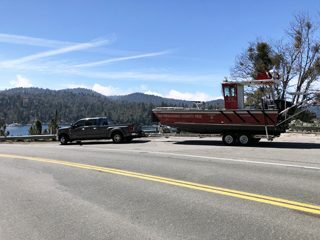 This transport including obtaining permits and utilizing a follow-vehicle for safety as the Fire Boat was driven up steep and windy mountain roads. 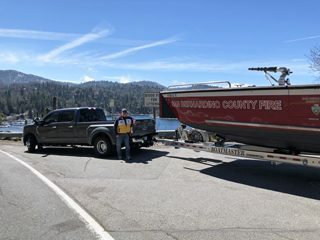 Once at Lake Arrowhead, our driver was able to help the fire personnel launch the boat back into water. 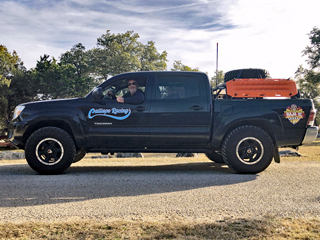 Repeat customers continue to use Reliable Driving based on our reliability, professionalism, trustworthiness, experience, and great customer service! 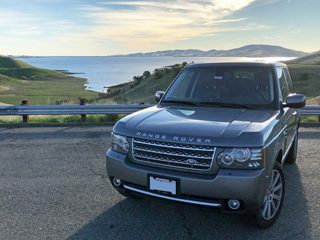 Our customer lives in Denmark and he purchased a vehicle that he needed shipped overseas. 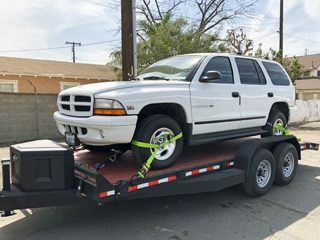 The vehicle needed to be transported from the place of purchase to a port-location in Southern California for shipping. 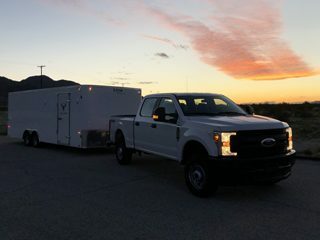 Reliable Driving handled the transport using our flatbed trailer, as well as making sure the proper paperwork (i.e. title transfer and other signature documents) were properly handled and delivered. 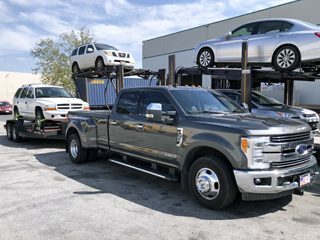 Our customer very much appreciated being able to count on Reliable Driving to handle everything properly and correctly — thereby saving our customer from having to make a long and expensive trip to the United States. 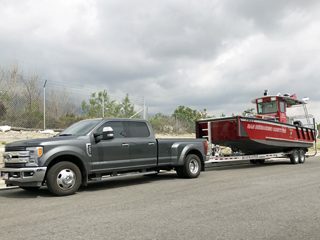 Our customer is boat manufacturer based in Wisconsin. 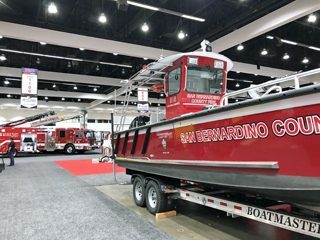 There was a trade show at the Los Angeles Convention Center featuring Fire Department apparatus. 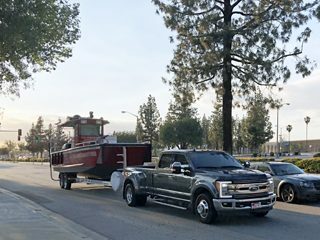 Our customer wanted a large, heavy, and tall Fire Boat that was currently in-service in Lake Arrowhead transported to their booth at the trade show. 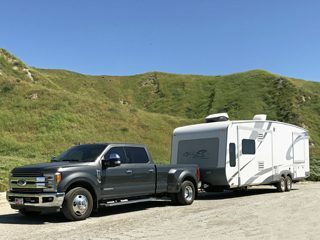 Reliable Driving handled the transport, including obtaining the necessary permits and having a follow vehicle for the steep and windy mountain roads. 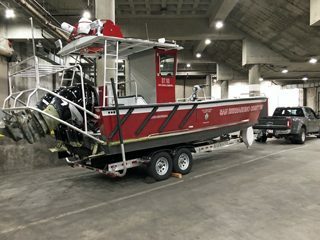 Once at the convention center, our driver was able to safely maneuver the Fire Boat into the booth where desired. 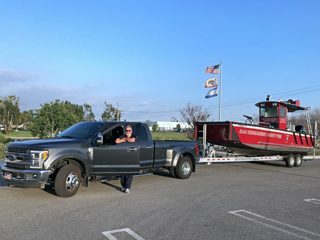 As always, safety is of utmost importance to Reliable Driving and we appreciated the trust placed in us to handle this delicate transport! Reliable Driving takes great pride in providing a high-level of quality and caring service so that our customers keep coming back for more! 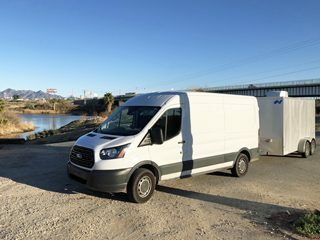 In this case, a customer who has used Reliable Driving three times previously contacted us again to drive their Ford Transit van towing a 14-foot trailer from Concord, Ca to Scottsdale, AZ. 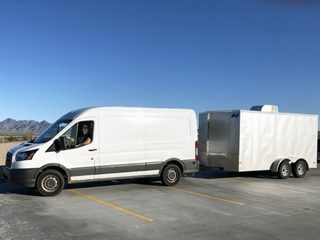 The equipment in the van and trailer is very sensitive and deserves the special attention provided by Reliable Driving. We are honored to have earned the trust and respect of our repeat customers! 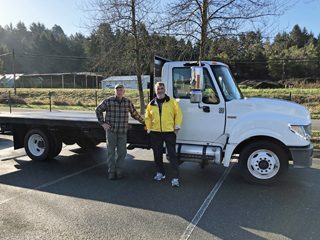 Our customer, the owner of a lumber business in Arcata, had purchased a used 2015 International Terrastar flatbed truck from a dealer in San Diego and contacted Reliable Driving to have the truck driven to his location. 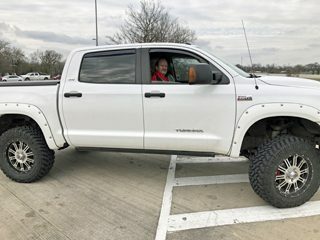 The truck’s design and weight, even unloaded, required a driver with a Commercial Driver’s License, which Reliable Driving supplied. 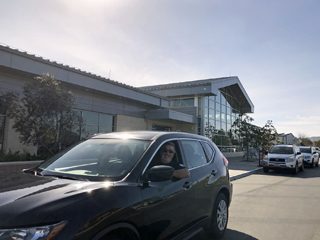 Our driver arrived at the dealership in San Diego and, with the permission of our customer, signed any needed paperwork (with copies brought to the customer). 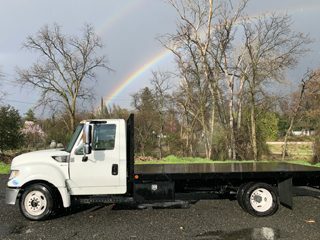 Our driver then drove the truck to Arcata and delivered it right to the lumber business — despite some difficult stormy weather. 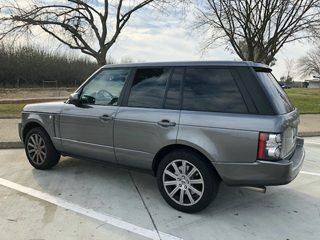 Our customer was very happy with the service and constant communication provided by Reliable Driving! 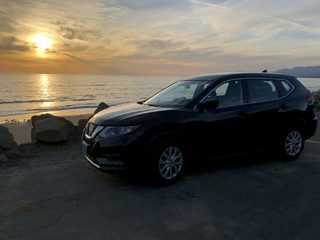 When moving from Hemet, CA to Redondo Beach, CA our customer needed a safe and reliable service to drive her vehicle, with her as a guest ride-along, to a new home. 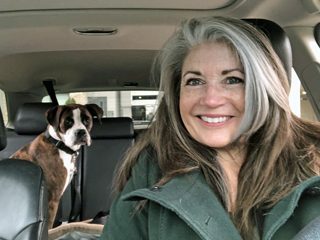 Our customer made it clear that during the drive her top priority was SAFETY and that she was relieved to read on our website that we were retired law enforcement and had specialized driver training. 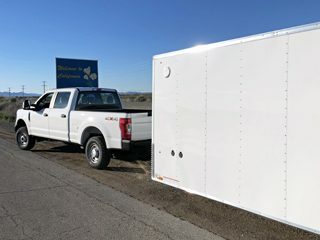 The customer was a senior citizen so our driver arrived at the Hemet location early to help the client manage the movers and to provide other support. Our driver’s safe driving practices relieved any safety concerns our customer had and she was very pleased to arrive feeling relaxed. 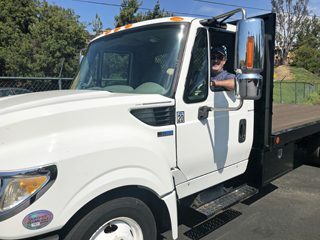 Once in Redondo Beach, our driver stayed to help manage the customer move into her new Redondo Beach home and to make sure that she was settled and comfortable. 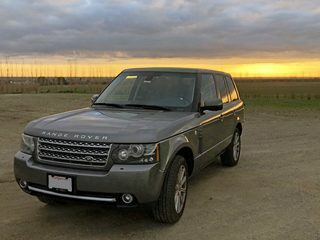 Reliable Driving strives to provide the most caring service possible! 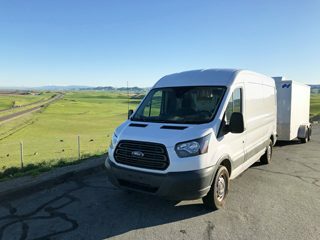 Our customer had recently driven his vehicle from San Diego to Pismo Beach for a multi-day golf outing. Afterwards, he wanted to fly home from the nearby San Luis Obispo (SBP) airport. Our customer contacted Reliable Driving and our driver met the customer right at the departure curb of the airport. 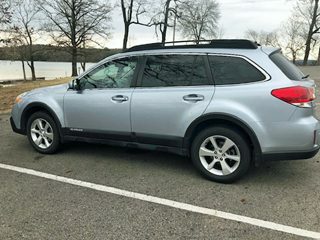 The customer was able to leave his golf clubs and gear in the vehicle, along with some other luggage. 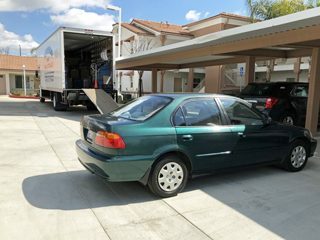 The customer then flew home and his car and belongings were delivered to his house within hours. Reliable Driving works to provide the most reliable and convenient service possible to our customers! 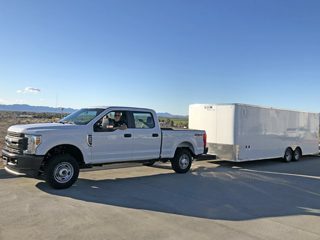 A week after the first trip, the same customer from the previous week needed more of their aeronautical prototypes and equipment brought from Scottsdale, AZ to Paso Robles, CA as part of the customer’s two-week demonstrations to a client. 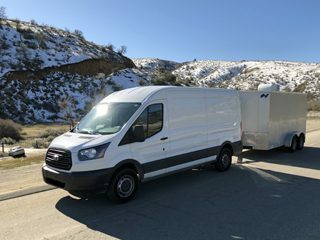 Once again, the customer contacted Reliable Driving and we were able to drive their Ford Transit van towing a 14-foot trailer, both filled with sensitive products and equipment, to the desired location. 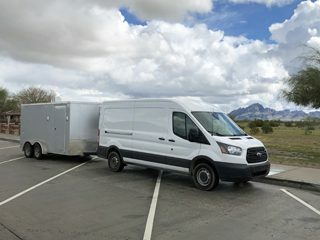 We were able to handle this trip with last-minute notice and meeting the customer’s tight time schedule. 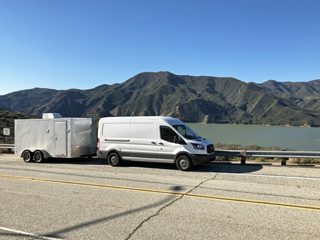 Our customer’s business needed to conduct two-week demonstration/test of their advanced aeronautical products to a client near Paso Robles, CA. 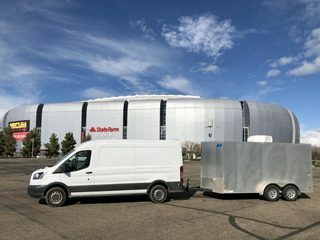 Our customer’s business is based in Scottsdale, AZ and they counted on Reliable Driving to drive their Ford F-250 truck while pulling a 26-foot enclosed trailer to this important meeting, and doing so in a safe and efficient manner so as to ensure the sensitive products in the trailer were kept safe and secure and arrived at the specific drop-off location on time. 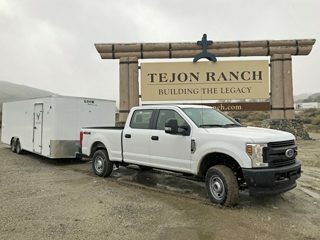 While visiting Colorado to do some snow skiing, our customer had a serious accident that resulted in injuries that prevented him from driving his truck back to his home in Texas – or from flying. 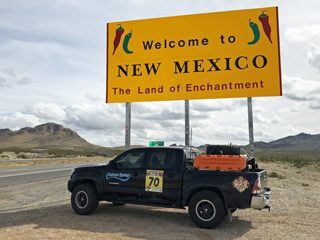 The family contacted Reliable Driving and arranged for our driver to fly to Colorado, pick up our customer from the medical center, and drive him and his truck home to Texas. 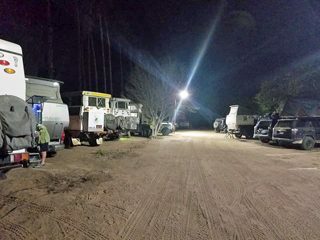 Despite his injuries, our customer was able to ride in the truck for up to six hours a day and the trip was completed in three days so as to get him home as soon as possible. 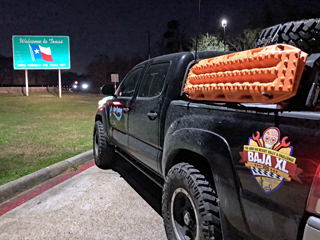 Our driver was able to assist our customer by handling the hotel reservations, taking care of the luggage, stopping as needed for comfort and food stops, and making the trip as comfortable as possible. 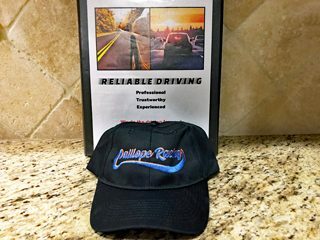 Reliable Driving is dedicated to customer service and helping others. 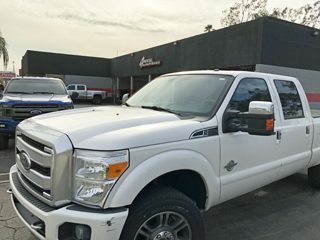 We consider it both an honor and a privilege to be relied on and trusted to help this customer and his family in their time of need! 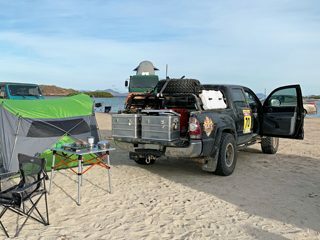 After Reliable Driving delivered their truck to Redondo Beach, a father-and-son duo with a team name of ‘Calliope Racing’ participated in the grueling 9-day 2500-mile Baja XL road rally through Mexico to raise funds for a charity foundation. After the event was over, the father/son duo flew back to New Orleans to recuperate and get back to their families. 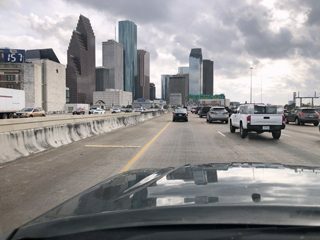 Over the next 4 days, Reliable Driving drove the truck back to New Orleans and delivered it directly to their home. 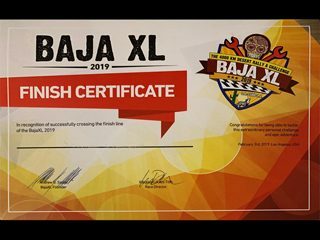 2019 Baja XL finisher certificate! 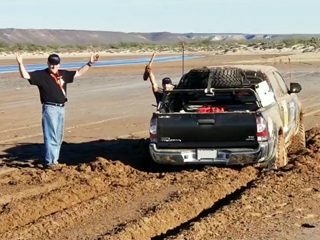 A father-and-son duo decided to participate in the 9-day 2500-mile ‘Baja XL’ road rally through Mexico to raise funds for a charity foundation. 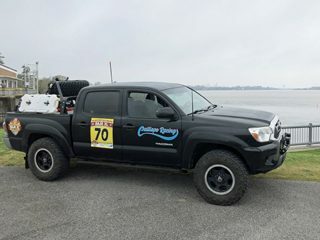 Since the duo wanted to fly to California and have more time to relax and prepare for the grueling rally, they needed their street-legal, but off-road capable, truck driven from New Orleans to California and contacted Reliable Driving. 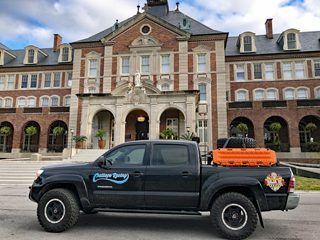 Our driver completed the trip in 4 days and delivered the truck directly to the hotel where the father-and-son duo were staying and gearing up for the start of the road rally. 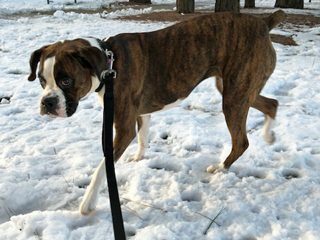 When coordinating a move from California to North Carolina, our customer discovered that their family dog, Zoe (a boxer), was unable to fly with the family due to airline restrictions. 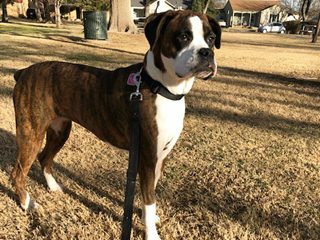 Not sure how to get Zoe to their new home, our customer contacted Reliable Driving and discovered that we would relocate both their vehicle and Zoe safely to North Carolina. 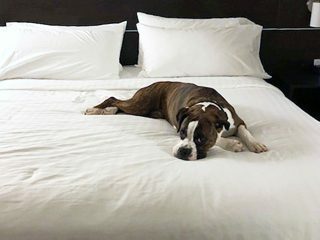 This 5-day trip included multiple comfort, exercise, and food-and-water stops each day for Zoe with nightly stays in pet-friendly hotels. 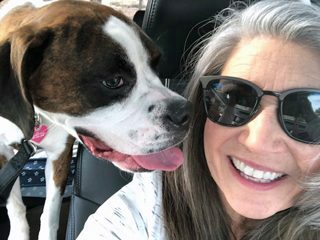 Our driver took the time needed to ensure that Zoe was well cared-for and happy throughout the trip. 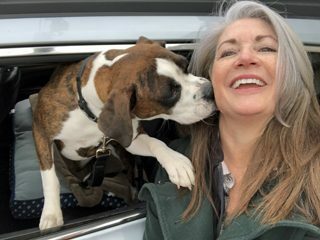 It was a great trip and our driver has a new friend for life! 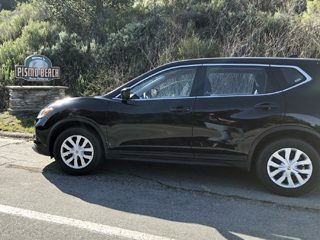 After spending the holidays with his family in Southern California, our customer packed his SUV with family belongings, holiday gifts, and child safety seats and then he and his family drove their vehicle to Palm Springs Airport where our driver was waiting for them at the departure curb. 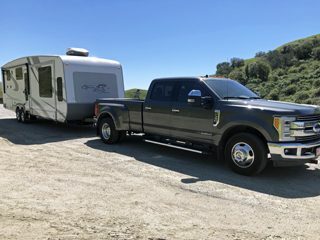 After handing the SUV keys to our driver, the family walked into the airport and flew to San Francisco and our driver drove their vehicle to San Francisco and delivered it to their home. This was a great convenience for the family, especially since they had young children! 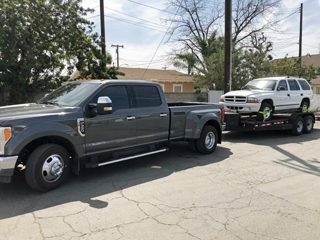 Our customer needed his pickup truck taken to a shop in San Bernardino. 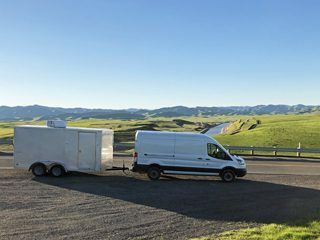 Reliable Driving handled the relocation, saving the customer valuable time and significant inconvenience. Why drive when you can fly? 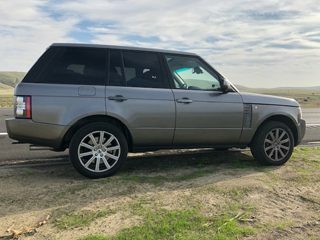 Our customer packed his SUV with family belongings, holiday gifts, and child safety seats before he and his family flew from San Francisco to Palm Springs Airport to spend the holidays in Southern California. 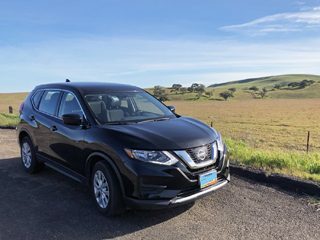 Our driver drove the SUV from San Francisco directly to the airport and had the vehicle waiting, curbside, for the family when they landed. This was a great convenience for the family, especially since they had young children! 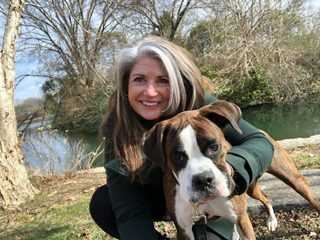 There was no hassle or cost of having to rent a car or renting child safety seats or having to bring all of their luggage and gifts on the plane.